We offer dozens of unique Cabins, Cottages and Vacation Home Rentals. Private locations sleep from 2–22 guests with 1– 10 Bdrms., 1-12 Bths. Perfect for a Honeymoon, Romantic Getaway, Family Vacation or Company Retreat. Amenities include Private bedrooms with Twin-King size beds. 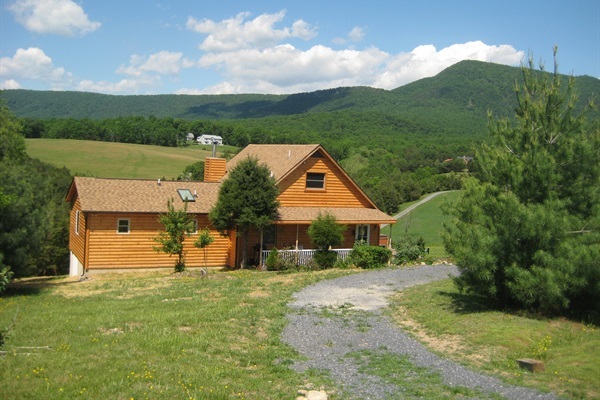 Kitchens, Fireplace, Living room, Satellite TV//DVD player, Decks, Porches, Hot tubs and Jacuzzi's located in secluded wooded areas or along the legendary Shenandoah River. Escape the hectic city life. Relax and enjoy each others company with beautiful views, and the peaceful surroundings that nature has to offer. Rates for most Homes and bedrooms are based on double occupancy. Additional guests are $25 - $30/night. Weekly rates also available. Stay 6 nights get 7th night free.